As of May 1, 2014 The Lakes at Castle Hills became a Fully Private, full-service country club featuring an 18-hole championship course, aquatic center with resort-style swimming pool, and tennis center. 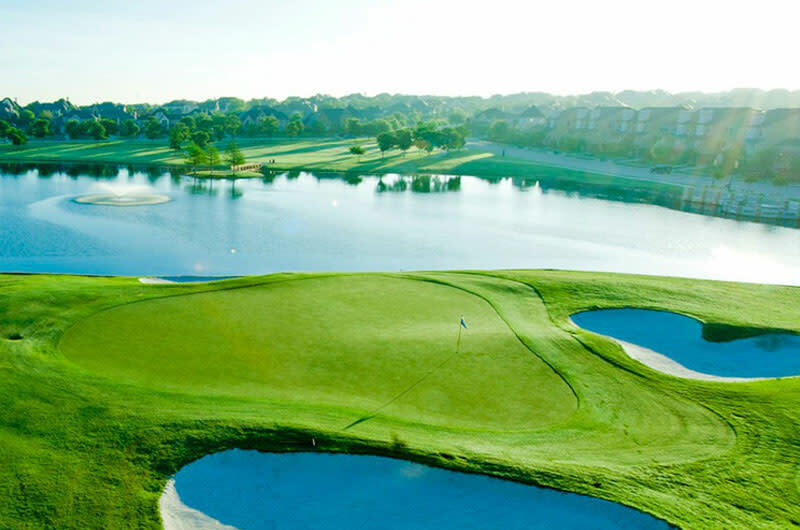 Based on an original Jay Morrish design, the updated 7,356-yard golf course features 419 Bermuda grass fairways/rough and pristine MiniVerde greens. The course is complemented by stunning rolling terrain, hardwood trees, natural streams, large lakes and wetland areas creates a natural environment. Rather than alter the landscape to accommodate the golf course, each hole was carefully designed to take full advantage of the site’s natural topography accentuating the streams, lakes and 60-ft. of elevation change. Currently there is water on 17 of the 18 holes as well as premium Arkansas crushed quartz bunker sand.